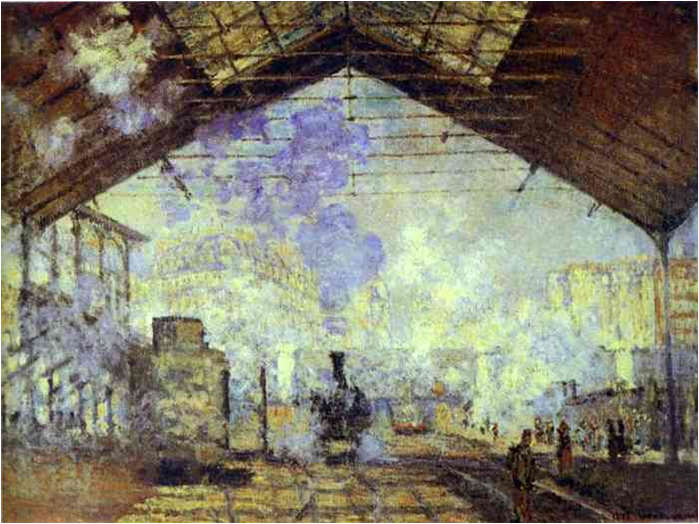 For Monet, the 1880's were a time of contemplation, doubts and a search for new avenues for his art. He wanted to broaden his horizons, be able to reach new markets outside of Paris, find new avenues for the representation of nature caught in the transient moment and indulge his wanderlust. There was also the issue of Georges Seurat and his followers who were trying to change the direction of the avante-garde art movement. 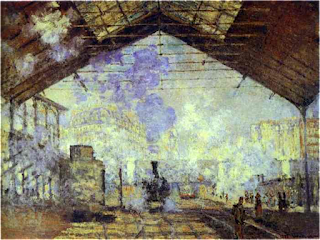 Monet was a well-known artist who had made a reputation for himself and wanted to go on pursuing new goals and taking Impressionism to the next level. 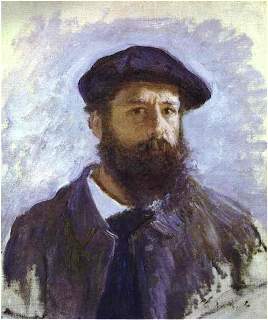 This self-portrait with the furrowed brows and askance expression Monet painted around this time, seems to visualize his self-questioning. 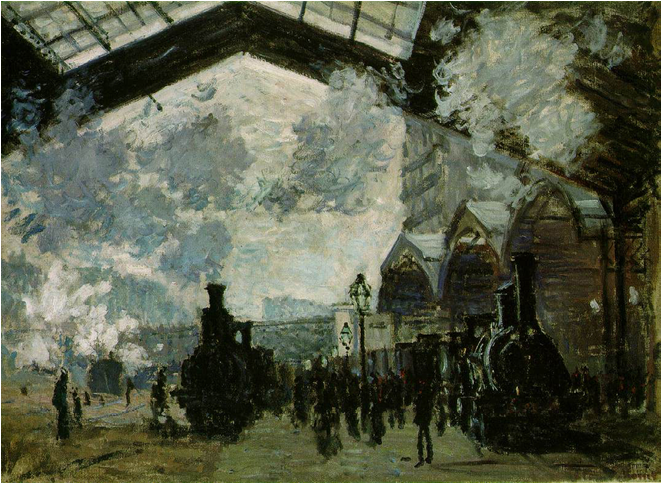 Monet had to reassert Impressionism as the leading avant-garde style and reinforce his position as the leader of the modernist movement. In order to do this, he set himself with very taxing goals and traveled in search of new places to paint and capture the light illuminated off these new landscapes. His search led him to concentrate on specific sites and the differing conditions of atmosphere. 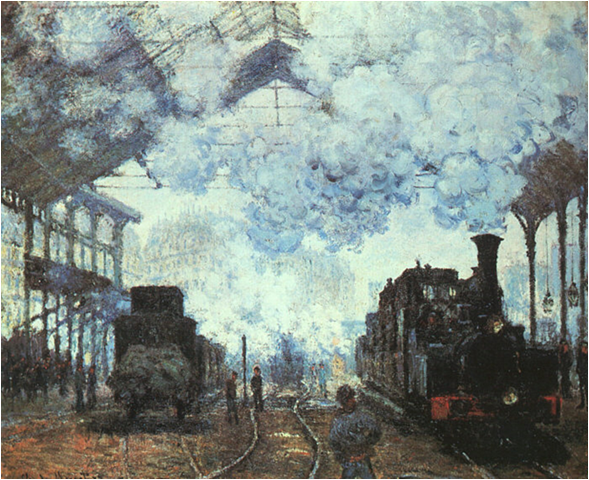 At this time he started to paint the same landscape from different aspects that the critics started to call his series paintings. 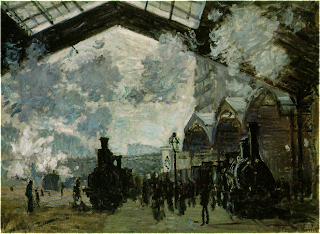 But preceding his series paintings, Monet had already been thinking of making multiple paintings of the same subject when he had painted The Gare St Lazare ensemble in 1877. These 12 painting were done over time and not meant to be exhibited together. He had rented an apartment nearby and was given permission to paint by the train tracks. He would start his paintings on site and then finish them in his studio. Although these were focused extensively on one motif, they were differing perspectives some showing the trains under the shed, some showing the building behind the shed and in some smoke covering and rendering the shed invisible. Some could even be classified as an interior space while others had the outside and inside feeling at the same time. 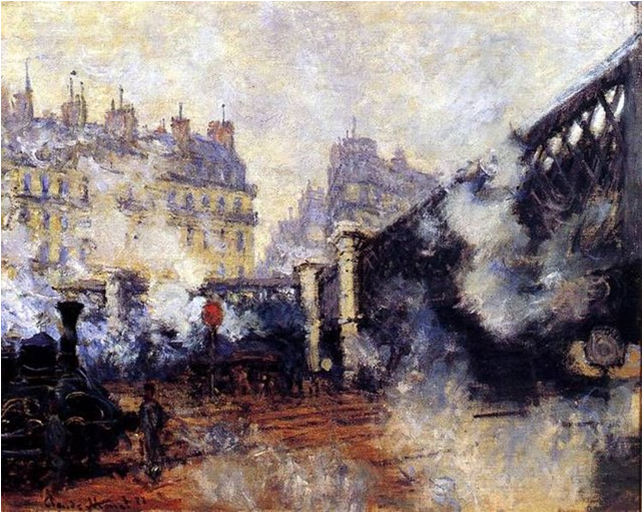 From studying a site in detail and painting it from different points of view, Monet would go on to paint the same exact site from the same exact point of view making the subject secondary to the effects of atmosphere in his Grainstack Series.